The elementary school shooting massacre that shook a Connecticut community Friday could have been much worse, police said Sunday. More details kept emerging on the gunman who took 20 children's and seven adults' lives, just hours before President Barack Obama was set to attend a vigil in Newtown, Conn., in an effort to console the inconsolable. "There was a lot of ammo, a lot of clips," Connecticut State Police Lt. Paul Vance said. "Certainly a lot of lives were potentially saved." Gunman Adam Lanza fatally shot himself as first responders closed in Friday morning at Sandy Hook Elementary School in Newtown, Conn. He left behind multiple unspent 30-round magazines of high-powered bullets — and hundreds more children whose lives he might have taken with his hundreds of unused bullets. Lanza committed his rampage at the school with a Bushmaster AR-15 assault rifle, police said Sunday, using multiple clips before shooting himself in the head. Besides the high-power Bushmaster, Lanza was also carrying a Glock 10mm and a Sig Sauer 9mm. It was one of those handguns with which he took his own life, and another shotgun was found in his vehicle outside of the school. The rifle and handguns Adam Lanza carried in the attacks were reportedly owned by his mother, a firearms enthusiast. They appeared to have been purchased legally. Police have given few clues to Lanza's motive, but investigators have said that they uncovered "very good evidence" that might help explain why the 20-year-old killed his mother at their shared home and then opened fire at Sandy Hook Elementary. 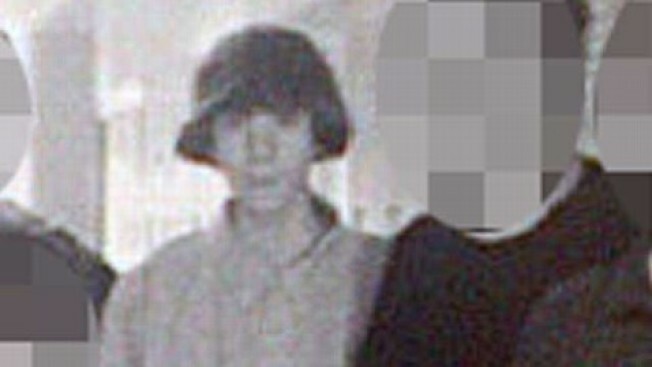 Former classmates described Adam Lanza as being intelligent and introverted and said he was an adept computer user. Some have suggested he may have suffered from a personality disorder. He had no obvious recent ties to Sandy Hook Elementary, although he attended it as a child, and those who knew him as an awkward teenager could think of nothing that would have predicted the horrendous crime he would eventually commit. "We’ve been doing everything we need to do to peel back the onion, layer by layer, and get more information," Vance said. Vance said Sunday that police had executed a number of search warrants and seized "a great deal of evidence," in the hopes of establishing a motive for the heinous shootings. "All that evidence, every stitch of it, needs to be analyzed, and it will be," he promised. Meanwhile, an official at Western Connecticut State University said Sunday that Lanza took classes there in 2008 and 2009 with moderate success. They also said that a faculty member's daughter was killed in the attack on Sandy Hook Elementary School in Newtown, Conn.
Interim Associate Vice President for Institutional Advancement Paul Steinmetz said Lanza started taking classes at WCSU in Summer 2008 when he was 16. He took website production (received a grade of A-) and Visual BASIC (A). That fall he took data modeling, a computer science class in which he took a withdraw, and Philosophy 101, introduction to ethical theory (C). The next spring he took American history since 1877 (A-) and introduction to German speaking, which he dropped early in the semester, so it didn't count against his GPA. In the summer of 2009 he took principles of macroeconomics (B). Steinmetz said Lanza's overall GPA for the six classes he completed was 3.26. He said he did not have access to disciplinary records but had no indication that Lanza was ever in trouble at the school. He did not offer a reason Lanza stopped taking classes there. While the university is looking into Lanza's time there, WCSU is also grieving for one of their own. University President James Schmotter said Saturday that music professor and saxophonist Jimmy Greene's daughter Ana Marquez-Greene was among the victims at Sandy Hook Elementary School. "Unfortunately I must convey the news that our university community has been touched directly by the shooting at Sandy Hook Elementary School," Schmotter said in a statement about Ana's death. "We will be at [Greene's] side to do all we can to help him and his family through this unfathomable tragedy."